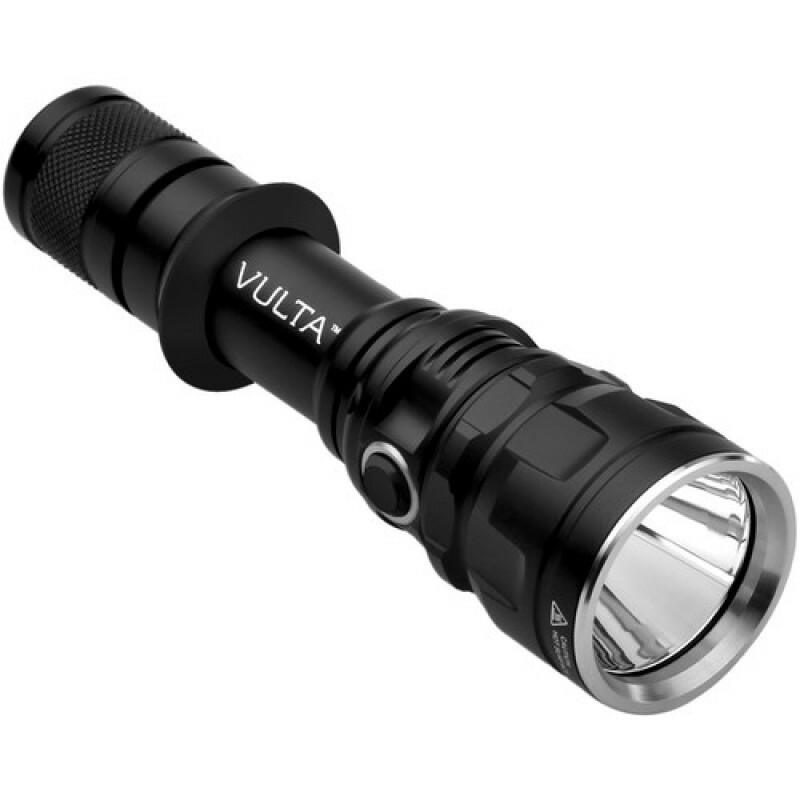 The Tornado 750 Lumen Law Enforcement LED Flashlight from Vulta features a CREE XM-L2 LED that produces a maximum of 750 lumens. It has three output levels: 542, 104, and 19 lumens, as well as 750 in Turbo Mode. 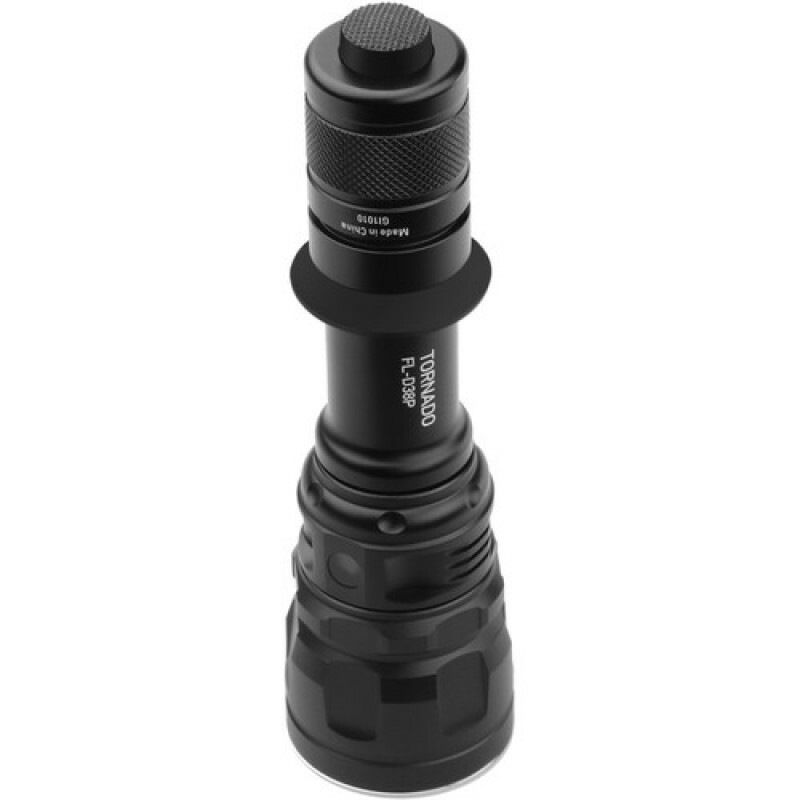 A dual-button system utilizes tailcap and side body buttons. 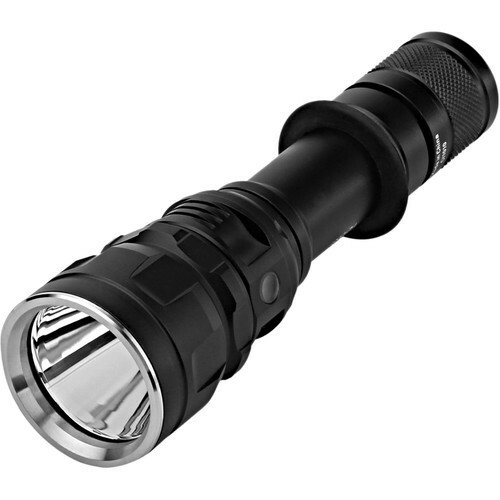 The tailcap button engages temporary-on and constant-on modes, while the side button enters standby mode, adjusts output, and engages strobe and SOS modes for emergency situations. The flashlight's aluminum body has a Mil Spec Type III hard-anodized finish. Its tempered glass lens maximizes throw distance and is impact and scratch resistant. The anti-slip textured body is waterproof and impact resistant up to 6.5', making the Tornado 750 ideal for harsh conditions. It runs on two CR123/RCR123 batteries or one 18650 battery. For best performance and peak runtime, 3.7V batteries are recommended. 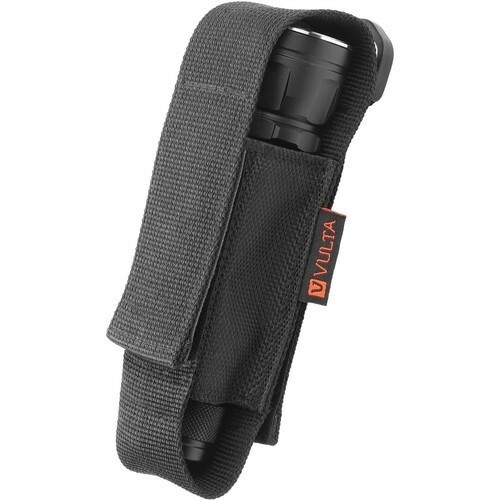 A MOLLE compatible holster, lanyard, and spare O-ring are included with the flashlight.